Not Neversoft, original series creators, but Robomodo (those of TH Ride infamy) have blown the dust off of the very first Hawk title and given it the current trendy treatment of a HD sheen. Luckily for us they’ve pull off a cracking HD update. Thirteen years is a long-arse time in video games. Imagine the games you threw into your N64 or PS1 back in the day, then look at Max Payne 3, Mass Effect 3 or even any number of indie budget titles and you’ll notice how far we’ve come. So digging back in to a thirteen year old sports game seems like madness, am I right? Well that’s exactly what Activision is serving you in the HD remix of the PS1 classic Tony Hawks Pro Skateboarding. 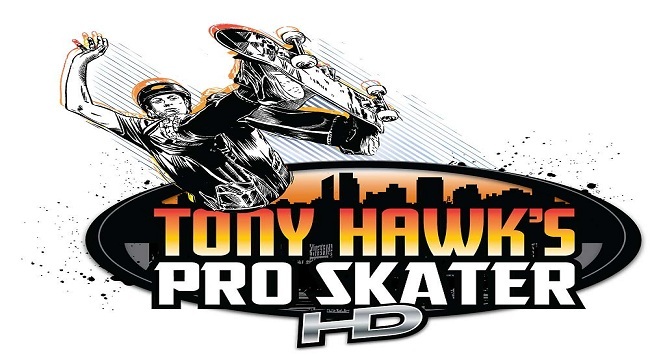 Essentially the original THPS title, Pro Skater HD plays almost identically to the classic. 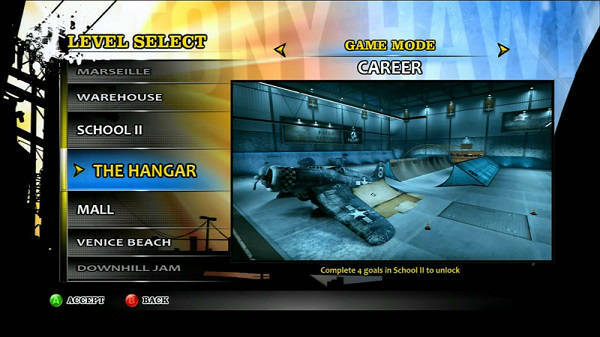 The main addition to the mix, besides visuals and some new music, is the addition of THPS 2’s manuals. This has been seamlessly layered in though and makes for a better all round game experience. The ability to chain those long combos really helps you achieve those score goals much easier. Tony Hawk Pro Skater HD looks great, and seems to fit seamlessly with my memory of how the game always looked – after all, it looked amazing on the PS1. The graphical tweaks (lighting, shadows, graphical touches like moving materials on the skater) never become glaringly obvious; it just helps take a game that would probably make you recoil in its true PS1 state, and make it how your nostalgic centres of the brain remember it. There are a few glitches here and there though, and sometimes you’ll clip right through something or get launched sky high from running into a background object. As well as looking superb, THPS had a cracking soundtrack. This has been ravaged for the HD remix though with only half the original song content from THPS and THPS2 being present. Initially, I was skeptical of this approach and deemed it to be most likely a licensing issue. Having spent numerous hours playing, I can now honestly say I couldn’t care either way. The soundtrack is still great and fits perfectly. As soon as the original THPS track Superman by Goldfinger came blaring out, my nostalgia endorphins kicked in and I was back thirteen years ago playing the original and as happy as can be. Level wise, you have seven tracks/areas to undertake. Each is locked until you’ve performed a certain number of goals from the area before. These are things like getting one of three high scores, collecting the word SKATE, finding money, performing certain tricks, etc. The fact that you don’t have to complete each level to move on is great for keeping momentum and leaves plenty to go back and grind (excuse the skate-based pun!) at a later date. There isn’t much in the way of unlockables though, and once you’ve been through the levels a 101 times or found everything then the game may become a little stale for you. Personally, I just love grabbing my deck and just blasting through the levels tricking my way to happiness (perhaps being a former skater might account for said behaviour!). The newly added level maps may split purists though. Whereas you used to have to explore every inch to find the hidden object, now you have them all laid out for you on the map screen. Personally I don’t care for that approach but it will help completionists and new comers alike. Controls are still as tight as ever and laying down insane trick patterns are as much of a breeze as they ever were. Levels have been tweaked a little in places – I presume to iron out any rough spots from the original and to allow for the manual (and soon to be released via DLC revert ) to be used more effectively. Multiplayer adds to the mix, although the missing split screen mode is a real downer. In online multiplayer, you play objective based events. Original series favourites Graffiti and Trick Attack are back, as well as newcomer Big Head Elimination, which has you scoring points to deflate your own head against chums. Tony Hawks Pro Skater HD has, in one $15/£10 download, managed to reignite my love and passion for the Tony Hawk brand. This reminds me exactly why I fell in love with the title and why Neversoft was such a revered developer (prior to Guitar Hero anyway). Sure, it’s an old game. Sure, the mechanics are a little creaky in places, but it just plays so damn well you can’t help but have a HUGE smile on your face… even after you’ve planted said face into some virtual concrete.